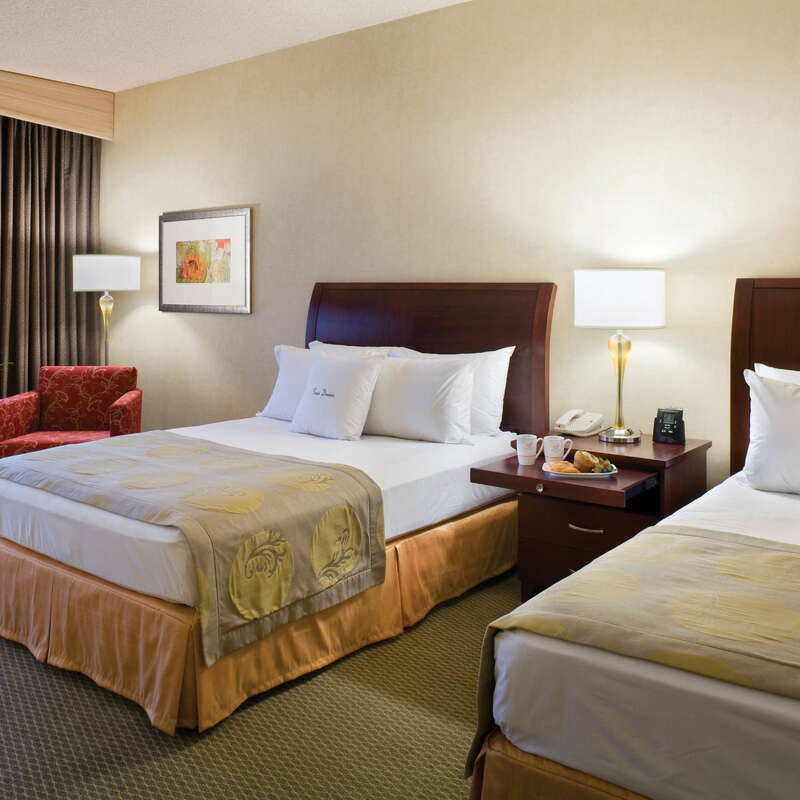 The rooms are spacious, comfortable, and overall pretty standard for a Hilton property. If you’re in luck, you’ll snag a room with a balcony, which provides excellent views of the city or the Cascade mountains. The bathrooms are a bit drab and outdated, but if you upgrade to a suite, you can snag a whirlpool tub--perfect for soothing the muscles after a long day of trekking around Portland. 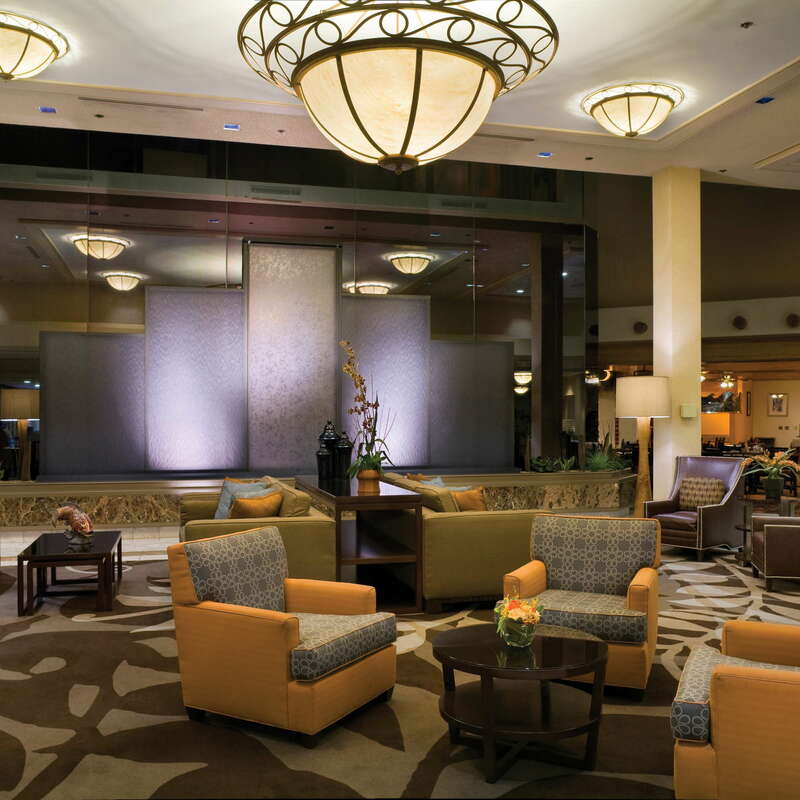 The lobby of the DoubleTree by Hilton Portland is large and inviting, and there’s plenty of places to sit. 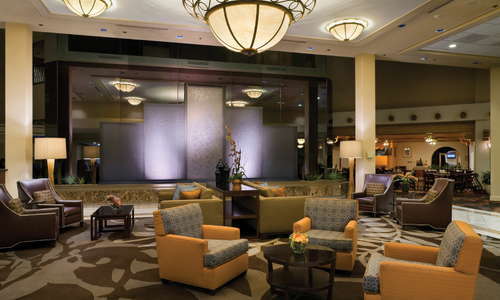 The modern decor also lends a chic, upscale feel to the space. 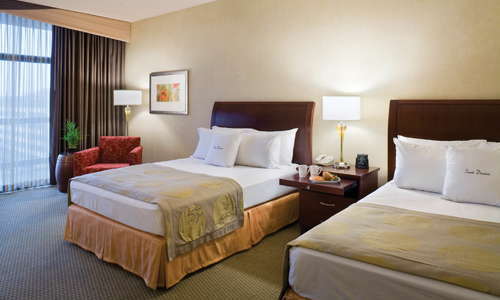 The DoubleTree by Hilton - Portland gives away fresh, warm, delicious cookies. Don’t leave the lobby without one! If you’re heading to Portland in the summer months, the outdoor pool at DoubleTree by Hilton Portland is a major selling point. The pool is a decent size to take a swim and there’s plenty of places to lounge. And as a bonus, they offer food and beverage service so you can enjoy a cocktail poolside. YOU SHOULD KNOW The pool is only open from 10am to 10pm, so if you’re looking for an early morning or late evening dip, you’re out of luck. 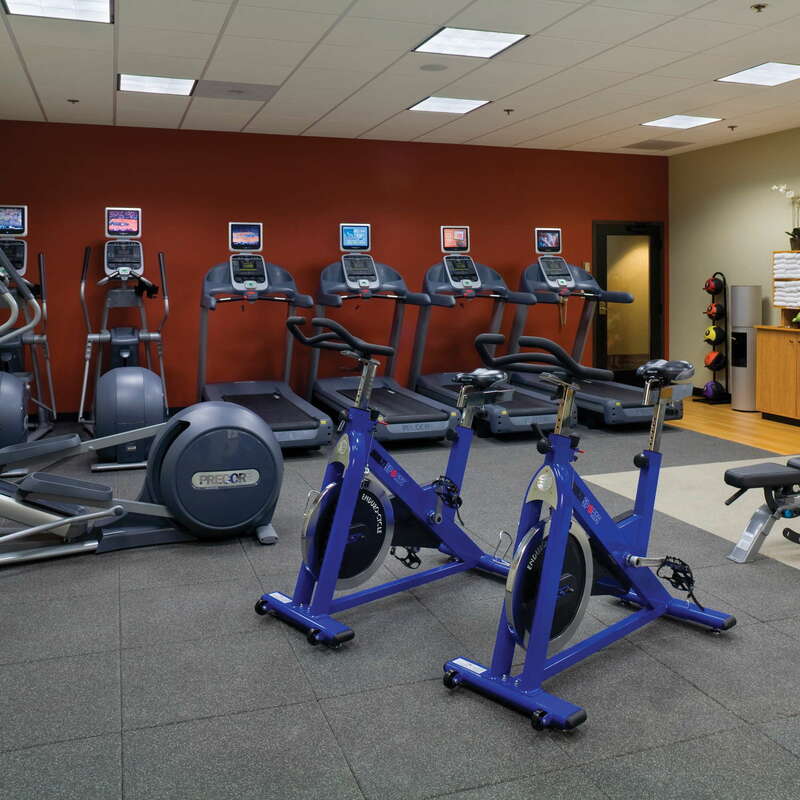 It’s not Equinox, but the fitness room at the DoubleTree by Hilton Portland has plenty of cardio equipment and free weights if you want to squeeze in a workout. For breakfast, stop by Multnomah Grill, where you can sample items from the Continental Breakfast Bar or place an order from their a la carte menu (standouts include the Vegetable Hash and Apple Fritter French Toast). For lunch and dinner, Gather Food & Drink serves up American classics using local ingredients. Gather Food & Drink has a daily happy hour (from 4 p.m. to 6 p.m.) where you can score $5 draft beers (most of which are local). 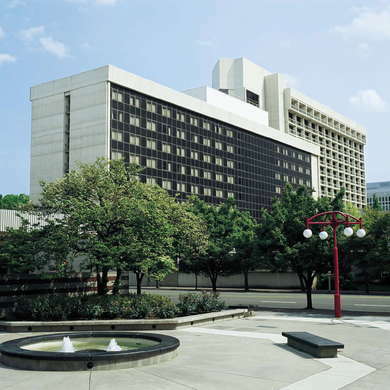 The DoubleTree by Hilton - Portland is in a great central location. There’s a MAX station directly outside of the hotel that will get you downtown in a jiffy. 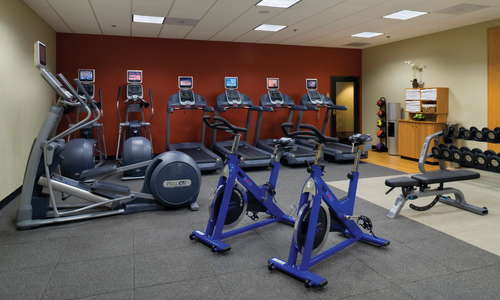 You’re also a 3-minute walk away from the Lloyd Center, Oregon’s largest shopping center. If you bring a car, it’s $25 per night for self-park, $35 for valet. Just a short drive away, Le Pigeon (5-minute drive), one of Portland’s finest dining establishments, is a can’t-miss. The restaurant serves up innovative French-inspired dishes in a communal dining room that encourages conversation (most likely over the amazing food) with your neighbor. Another standout in the neighborhood is Nostrana (7-minute drive), an Italian spot with a cool, industrial vibe that dishes out some of the best pizza and pasta in Portland. Spirit of 77 (4-minute drive) is a great sports bar in the Lloyd District that projects a variety of sporting events on their signature screen (which is a whopping 16x9) and has a ton of games (including foosball, darts, and basketball) to keep you entertained while you drink. 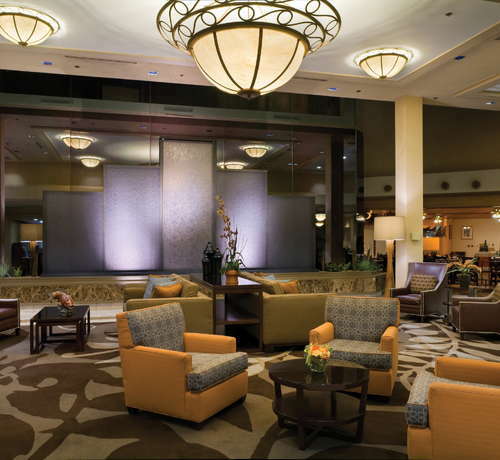 If you’re in the mood for a something a little more upscale, head over to the Teardrop Lounge (9-minute walk). The bar has a cool, lounge-y vibe and serves a mean cocktail. 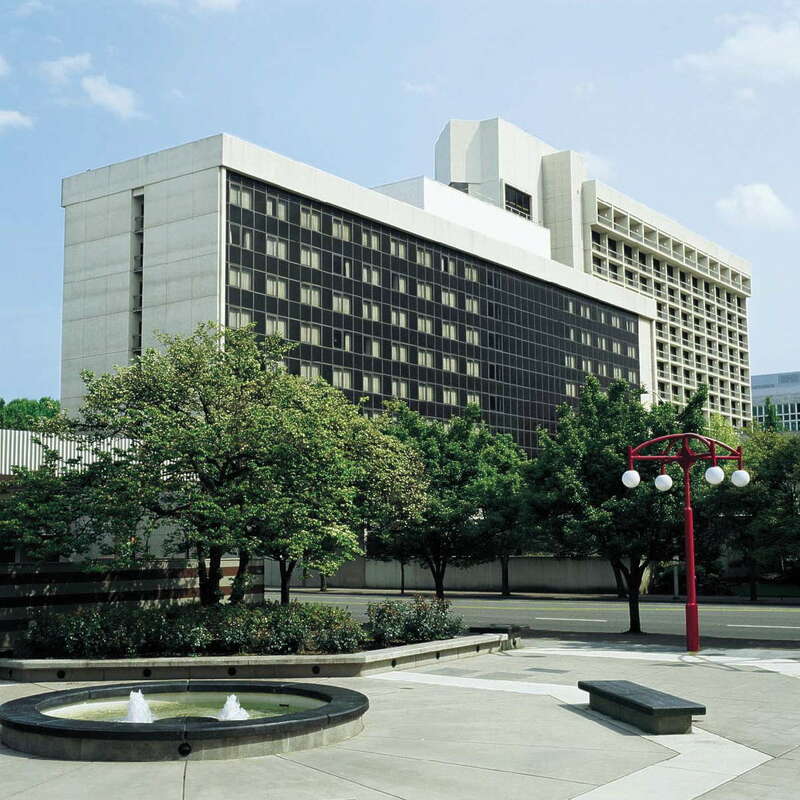 The DoubleTree by Hilton--Portland is a well-maintained property in a convenient location--whether you’re traveling for business or for pleasure. The easy access to downtown, the great restaurants and shopping in the neighborhood, and the outdoor pool (a rarity in Portland) make this a solid choice for your next visit to the city of Roses.